Longtime Office of Hawaiian Affairs trustee and former state Sen. Clayton Hee has announced he is running for governor, a relatively late entry into the Democratic primary that could dramatically alter the dynamics of the race. Star-Advertiser. Former Sen. Clayton Hee Is Running For Governor. The longtime Hawaii lawmaker says Honolulu rail has been mismanaged and the money should be spent on other things. Civil Beat. 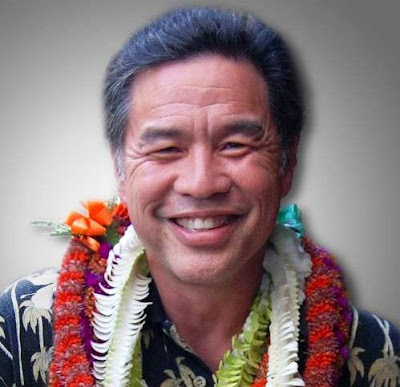 Former state senator Clayton Hee is joining the race to be Hawaii governor. Associated Press. Clayton Hee seeks millennial, working class vote in race for governor. He enters the race as an underdog to incumbent Gov. David Ige and U.S. Rep. Colleen Hanabusa. Hawaii News Now. Former Democratic state Senator Clayton Hee is the latest candidate to enter the race to be Hawaii's next governor. KITV. Hawaii’s powerful public-sector unions are bracing for a U.S. Supreme Court decision that could weaken their collective bargaining efforts for tens of thousands of local workers and, ultimately, their sway on the islands’ political landscape. Civil Beat. State lawmakers delay vote after hours of testimony on medically assisted death. More than 100 people testified over four hours for and against a bill that would allow terminally ill adults to obtain prescriptions for lethal doses of medication. Star-Advertiser. Medical Aid In Dying Bill Generates An Emotional 5-Hour Hearing. House lawmakers deferred a vote on the measure until Wednesday. Civil Beat. The House Health and Human Services and Judiciary Committees heard public testimony today on medical aid in dying legislation. Hawaii Public Radio. After hours of passionate testimony, lawmakers delay vote on medical aid-in-dying bill. Hawaii News Now. Hawaii's "Our Care Our Choice" bill would allow terminally ill patients to end their lives. KITV. The issue of medically assisted suicide is once again on the table. Lawmakers listened to more than a hundred people testify for over five hours Tuesday morning. KHON2. Gov. David Ige is supporting a bill that would allow terminally ill patients to end their own lives if they choose. Tribune-Herald. Bill on medical aid in dying assessed. Star-Advertiser. Hawaii May Switch To All-Mail Elections In 2020. A bill requiring the conversion in hopes of increasing voter turnout is headed to the House floor. Civil Beat. Teachers who pay for classroom supplies could soon get tax deductions. A bill moving through the state legislature looks to ease the financial burden for teacher who pay for classroom supplies out of pocket. Hawaii News Now. Senate Ways & Means Chair is blocking a bill to increase Hawaii's minimum wage. Hawaii News Now. Consumer debt in Hawaii rose faster than the national average in 2017, increasing 4.1 percent compared with 3.5 percent across the country. Star-Advertiser. Total consumer debt increased 4.1 percent for Hawaii consumers between the first and fourth quarter of 2017, higher than the 3.5 percent experienced at the national level, according to a report by the state Department of Business, Economic Development and Tourism. Pacific Business News. The Hawaii Emergency Management Agency confirmed there will be no ballistic missile “attack warning” monthly siren test on Thursday — reversing this month’s practice and going against a recommendation from the state’s deputy adjutant general. Star-Advertiser. Hawaiian Electric Cos. is now accepting competitive bids to add 300 megawatts of renewable energy production on three islands, after receiving approval from the state Public Utilities Commission last week. Star-Advertiser. Pickups, SUVs and vans ruled the road in 2017 as Hawaii’s new-vehicle registrations increased for the seventh consecutive year. Star-Advertiser. Ex-HPD Major Wants Separate Trial In Corruption Case. An attorney for Gordon Shiraishi says he shouldn’t be lumped in with the other defendants in the Kealoha case. Associated Press. Waikiki stakeholders are growing increasingly concerned that serious criminal activity like murders, youth gangs and prostitution could mar the state’s top tourist district. Star-Advertiser. The drive to require sprinkler systems in older residential high-rises in the wake of the deadly Marco Polo fire has come down to final City Council votes today that if approved would mean a break on taxes and fees as incentives to defraying what many owners consider unreasonable costs. Star-Advertiser. Oahu’s first mobile homeless hygiene center hits the road. A nonprofit group has imported a 26-foot trailer equipped with bathrooms and toilets and is already towing it around Oahu to provide homeless people a place to get clean — and perhaps lead them off the streets. Star-Advertiser. Injured man says 'booby trap' was set up to deter hikers from Haiku Stairs. Hawaii News Now. Parents and students rattled by elementary school lockdown. Ahuimanu Elementary School was placed on lockdown for about an hour while police pursued an auto theft suspect, spotted running through the area, police said. Star-Advertiser. Honolulu-based Oceanit only Hawaii recipient of federal research grant. Pacific Business News. H Mart, a Korean grocery chain with several dozen stores in 12 Mainland states, is opening its first Hawaii location in Honolulu. Pacific Business News. Colin Nishida, founder and chef at Side Street Inn, a beloved gathering place for many of Honolulu’s top chefs, died Sunday at age 61. Star-Advertiser. Award winning Hawaii chef Colin Nishida, owner of the Side Street Inn, died on Sunday. He was 61 years old. Pacific Business News. Commercial sponsorships of county facilities, programs considered as revenue source. Councilwoman Sue Lee Loy said her intent is to give the county another option as it likely faces tough decisions about making cuts or raising taxes going into the next budget cycle. Tribune-Herald. The University of Hawaii selected three finalists to fill an open Hawaii County seat on the Board of Regents. Tribune-Herald. Efforts to replace an 86-year-old bridge in Waimea are gearing up again. West Hawaii Today. Maui Mayor Alan Arakawa gave his state of the county address on Tuesday. He said the county is financially stable, environmentally secure, and tourism is booming. KHON2. Business is booming and consumer confidence is growing — including on Kauai. Garden Island. A career of service to children and families has led Koloa resident Norma Doctor Sparks to throw in her bid for County Council. Garden Island. While two landslides have been cleaned from Kuhio Highway on the North Shore and traffic is flowing again, the state is planning some safety measures in the area. Garden Island.